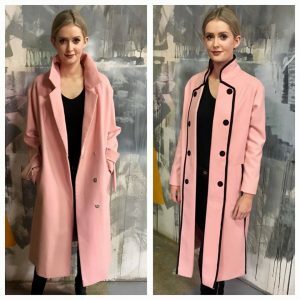 The Zip Yard » The Zip Yard on RTE Today – 20th October 2017! 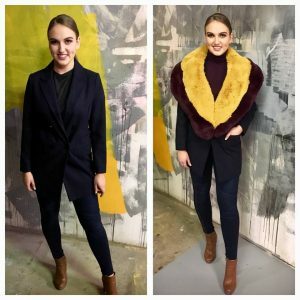 The Zip Yard returned to RTE Today on Friday 20th October with a style clinic all about up-cycling your wardrobe to incorporate some of this season’s most covetable trends. 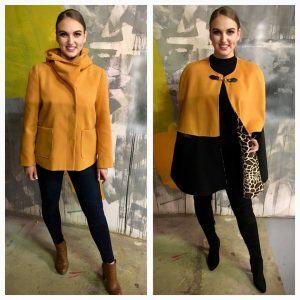 Stylist Irene O’ Brien joined us with 6 looks that were transformed by the The Zip Yard Ireland! In case you missed it! 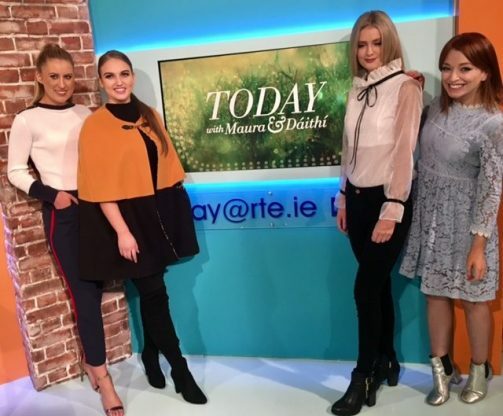 A look back at our winter wardrobe feature on last Friday's RTÉ Today! And here are the six transformations! Alteration: Using extra fabric, the look was changed into a cape coat by adding a second neutral tone. Transformed into full length two-tone cape coat. Alteration: Strip of vibrant fabric added to create a horizontal stripe, elongating the leg. To the jumper, block colour was added and the length shortened. Next a contrasting collar and cuff was added along with some classic gold buttons. 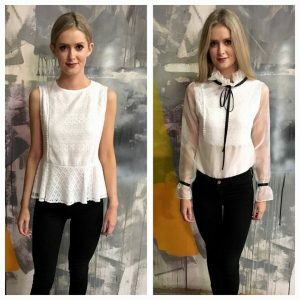 Alteration: A dramatic ruffle colla was created, loose sleeves added the peplum removed. Finished off with a straight cut hem. Alteration: A two-tone fur collar was created. The shape was downsized from a double to a single breasted coat. Alteration: Simplest of alterations, adding lining and creating a caplet. Alteration: Addition of masculine trim and buttons to give it a sharp military cut. Cuffs removed and collar opened.